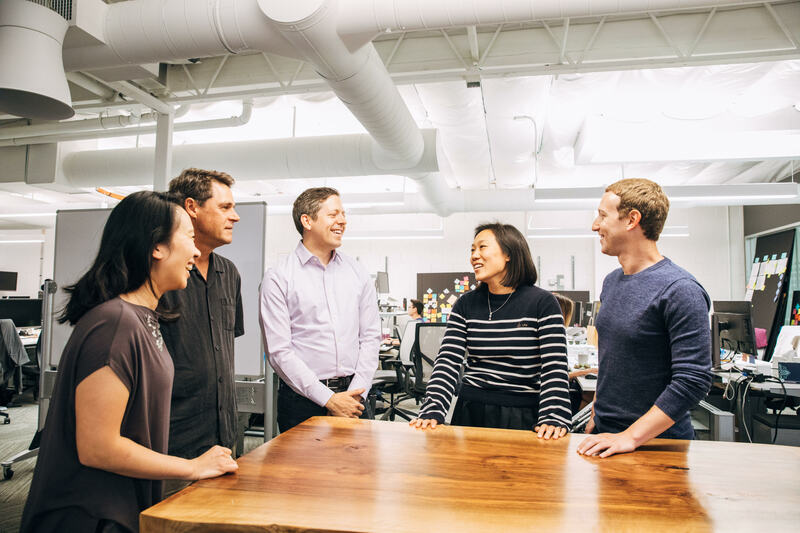 The Chan Zuckerberg Initiative was founded on the belief that by bringing technology to philanthropy, we can dramatically accelerate the pace of social progress and engineer change at scale in science, education and issues related to justice and opportunity. We’re proud to be bringing together talent from across a wide array of sectors to collaborate and take on problems in new ways. This includes pairing issue experts with our world-class technology team to develop tools and products that will help bench scientists and researchers, educators and students, as well as policy advocates and community leaders. We recently welcomed two new leaders to the CZI technology team: Head of Data Jonathan Goldman and Head of Engineering Phil Smoot. Jonathan and Phil will join CZI’s Head of Product Sandra Liu Huang to lead our technology work. Together, they’ll oversee the development of cutting-edge tools and technology across CZI’s core areas of focus. Jonathan Goldman is a world-class data scientist who joins CZI after having served as Director of Data Science and Analytics for Intuit. Jonathan joined Intuit after Level Up Analytics, a data science consulting firm he co-founded, was acquired by the company in 2013. Jonathan has developed data science solutions for a wide range of applications, including social networking, finance, healthcare, and education and was one of the first data scientists at LinkedIn. He earned a PhD in Physics from Stanford and is also a founding board member of the Khan Academy. Phil Smoot brings over 25 years of experience as an engineer building large-scale consumer and enterprise internet products. He joins CZI after serving as VP of Engineering of OneDrive and SharePoint for Microsoft. While at Microsoft, Phil also served as Distinguished Engineer and led the company’s work on Hotmail and Outlook, Messenger, Account, Photos and various cloud storage, security and management systems. Sandra joined CZI in March 2017 and has served as interim Head of Technology since last August. She was previously Head of Product at Quora and was also an early part of the Google and Facebook product teams. Current CZI technology projects include the Human Cell Atlas, the Summit Learning Platform, and Meta. Along with Sandra, Jonathan and Phil will head a cross-functional team whose work spans each of CZI’s core focus areas. They’ll join a talented group of other recent additions to the CZI technology team including Osi Imeokparia, who is leading technology work for the Justice and Opportunity Initiative after over a decade leading product work and teams at Google and eBay and having served as Chief Product Officer on Hillary Clinton’s 2016 campaign, and David Recordon, who is leading cross-cutting infrastructure engineering and security efforts. David previously served as a special assistant to President Obama, modernizing information technology at the White House. More recently, he led engineering teams at Facebook to help expand internet connectivity around the world. Other new members of the CZI technology team include Gian Gonzaga, Director of Data Science and previously Chief Data Officer at Earnest, as well as Kathryn Koehler, Director of Engineering for Meta and previously Senior Director of Engineering at Evernote. Sandra, Jonathan and Phil are part of a CZI leadership team that includes Head of Science Cori Bargmann, Head of Education Jim Shelton, Head of Policy and Advocacy David Plouffe, Chief Financial Officer Peggy Alford and General Counsel Erika Rottenberg.